The Brookside model has 2 Beds and 2 Baths. This 730 square foot Double Wide home is available for delivery in Arizona, California, Nevada, New Mexico, Colorado, Utah. The enchanting Brookside with boxed out kitchen windows is chock full of sweet spots. The large and inviting living room is separated from the kitchen by a useful snack bar, making entertaining a breeze. 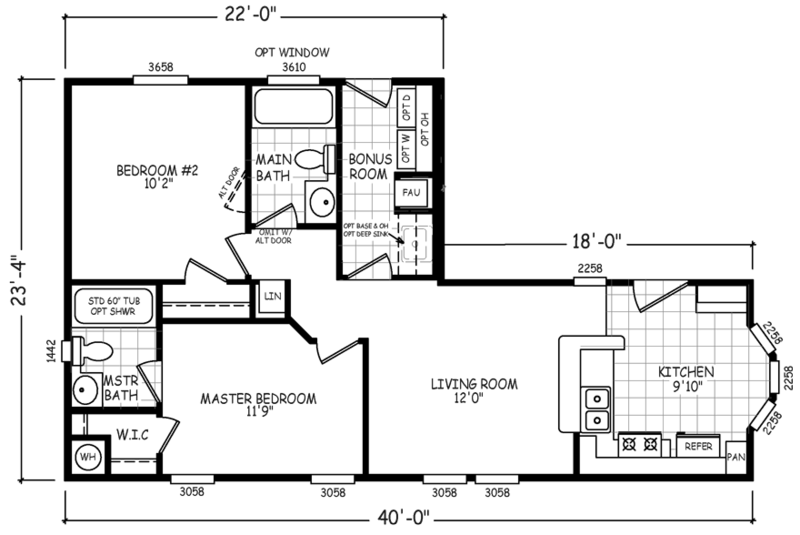 Ask about the washer/dryer and optional shower in the master bath. If pictures are shown, they may depict upgrades and options that are not included within the base price of the home. Ask your housing consultant for details about the other great features that come standard on the Brookside manufactured home.